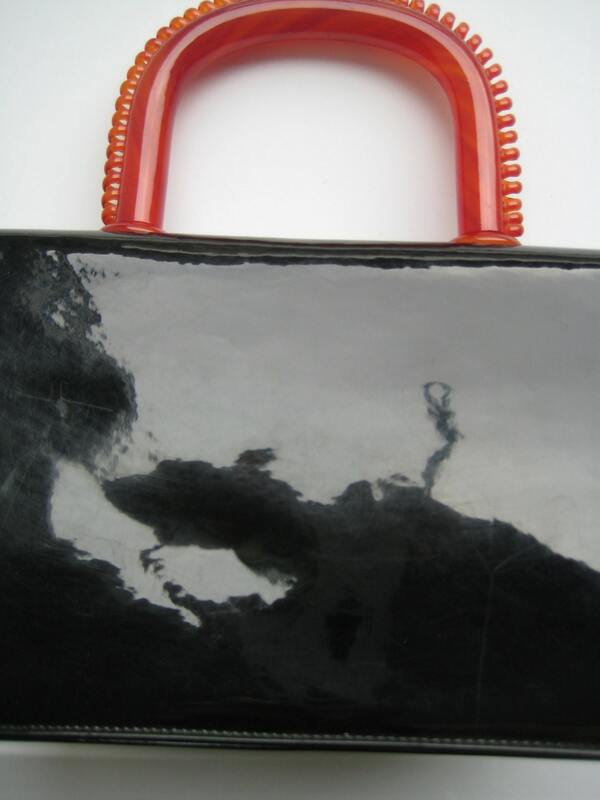 Stunning vintage black patent leather handbag. 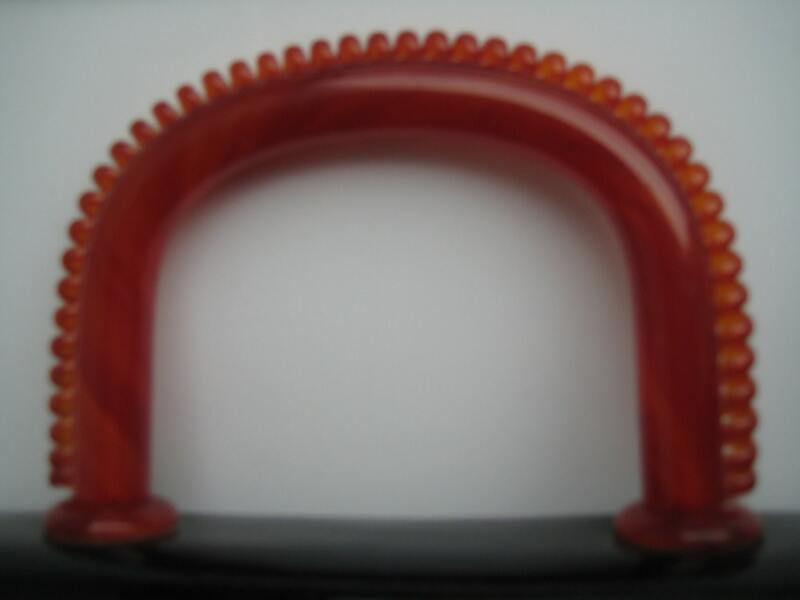 Translucent brownish red (more rust than red) Lucite top handle. Matching translucent button snap closure. Expandable sides. 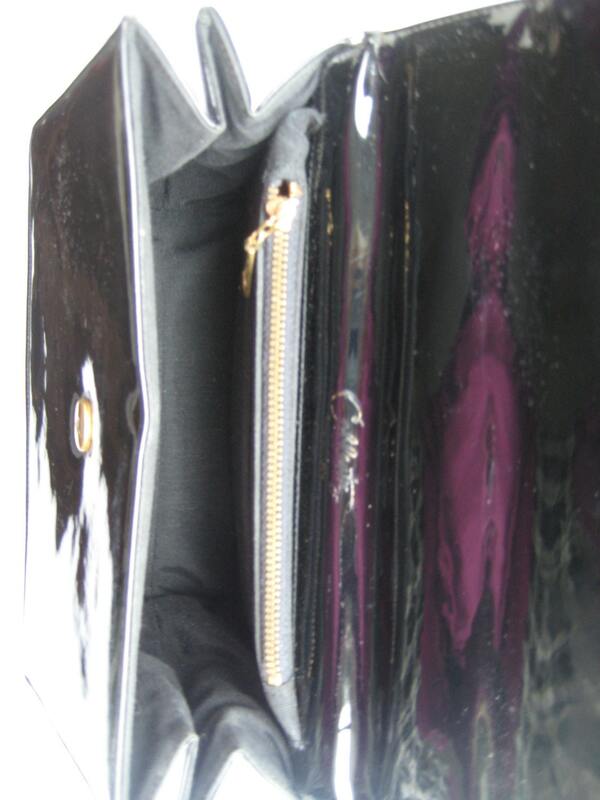 Black satin interior with one metal zippered pocket and two patch pockets. Stamp label on the inside says "Coblentz Original." 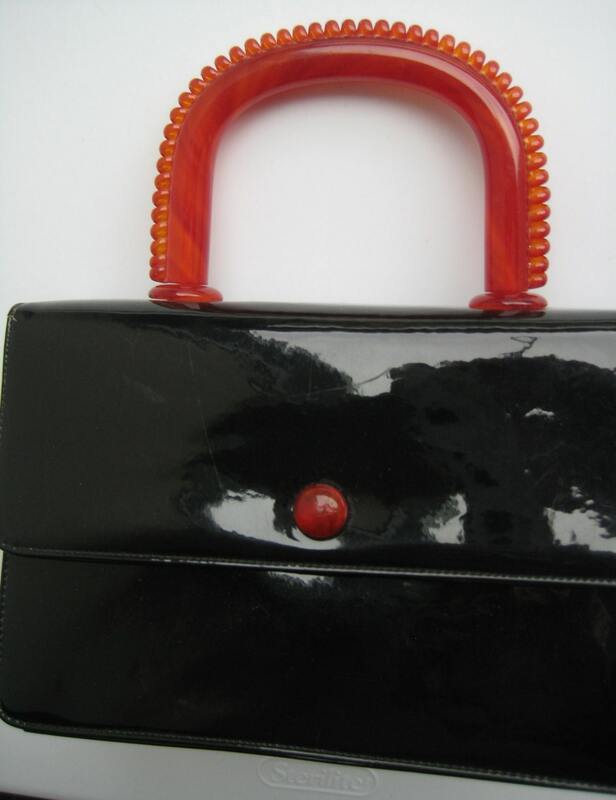 Wonderful vintage condition. Only very minor and light scratches from age. 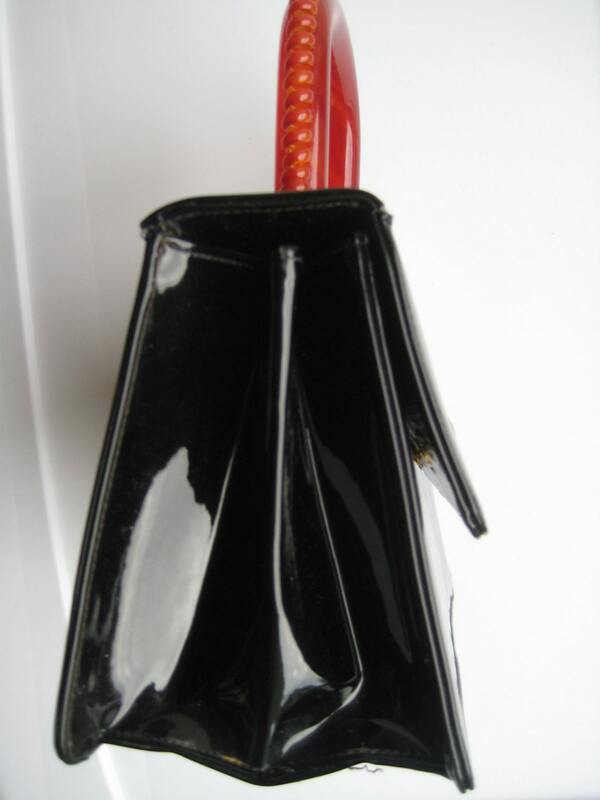 Dimensions: 8 inches long x 5 inches tall x 3.5 inches wide at the bottom. Vintage classic with modern flare!